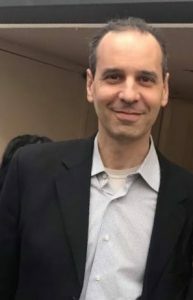 Will Cohen is Associate Professor of Theology at the University of Scranton (Pennsylvania). Educated at St. Vladimir’s Orthodox Theological Seminary (MDiv, 2002) and The Catholic University of America (PhD, 2010), he is author of The Concept of Sister Churches in Catholic-Orthodox Relations since Vatican II (Aschendorff 2016; repr. Wipf & Stock 2017). He serves currently as president of the Orthodox Theological Society in America and lives in Scranton with his wife and three children.